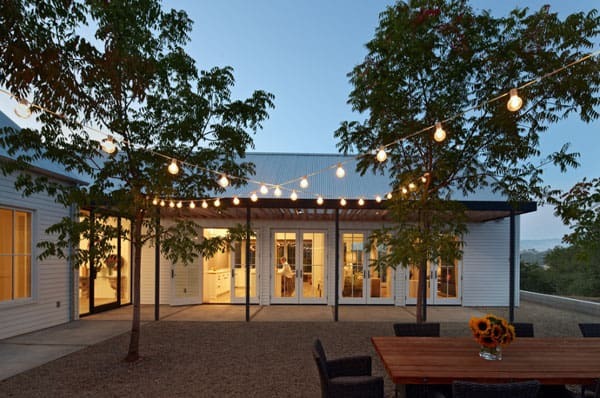 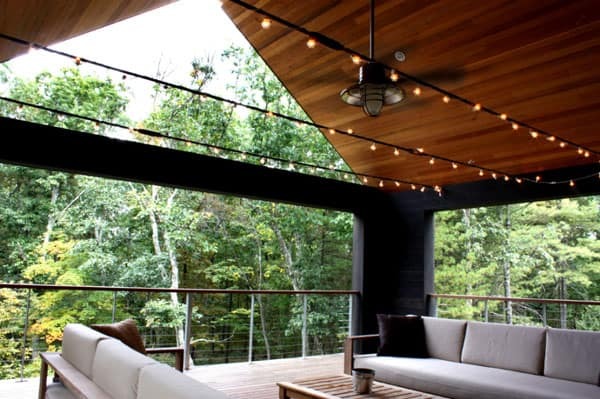 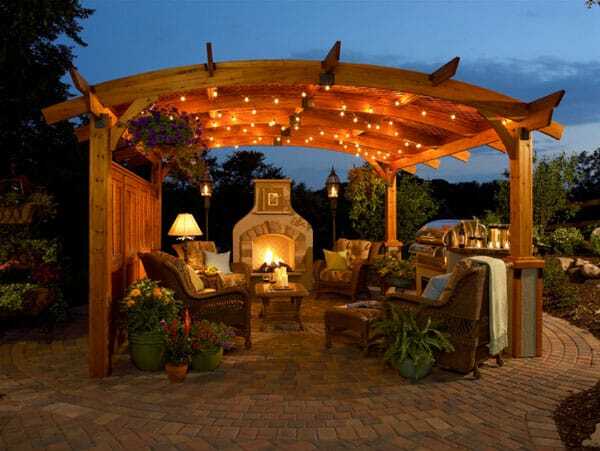 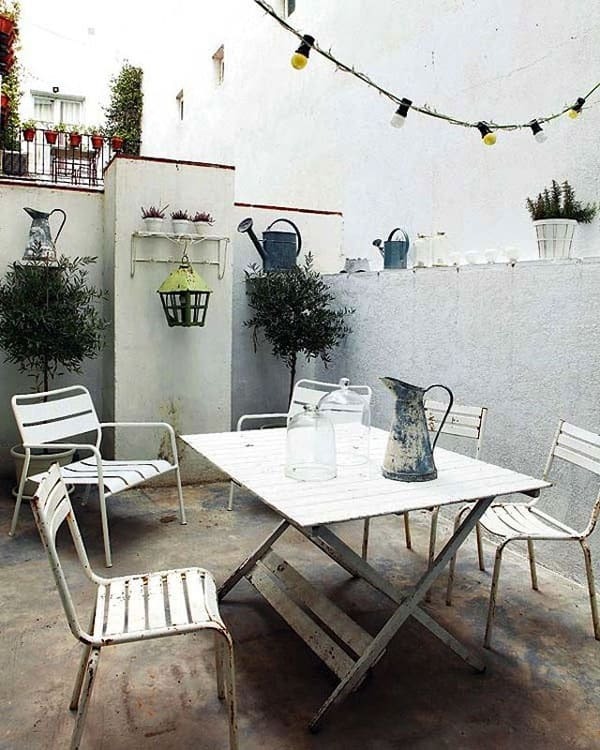 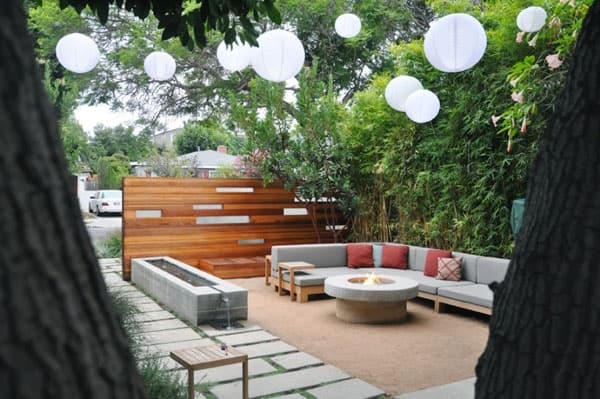 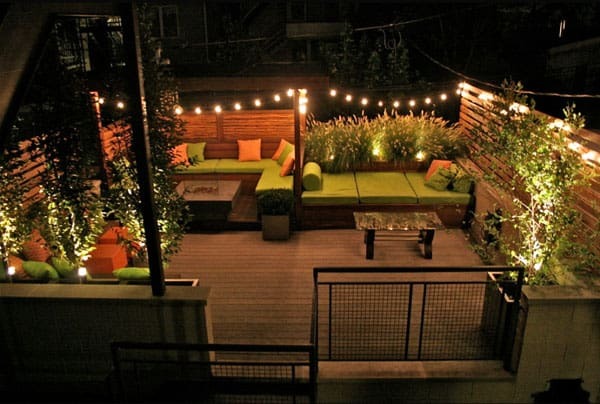 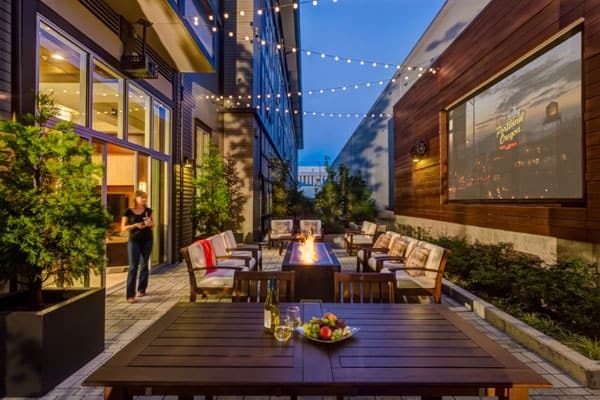 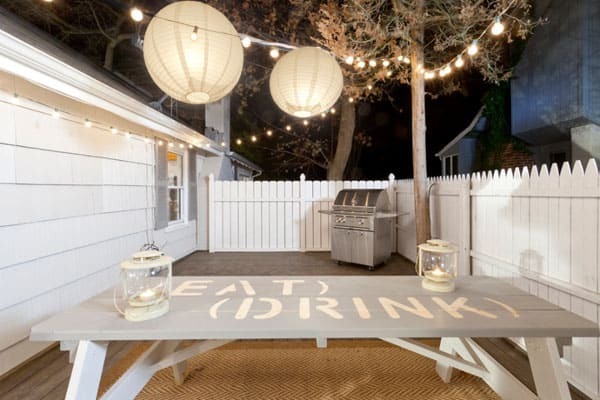 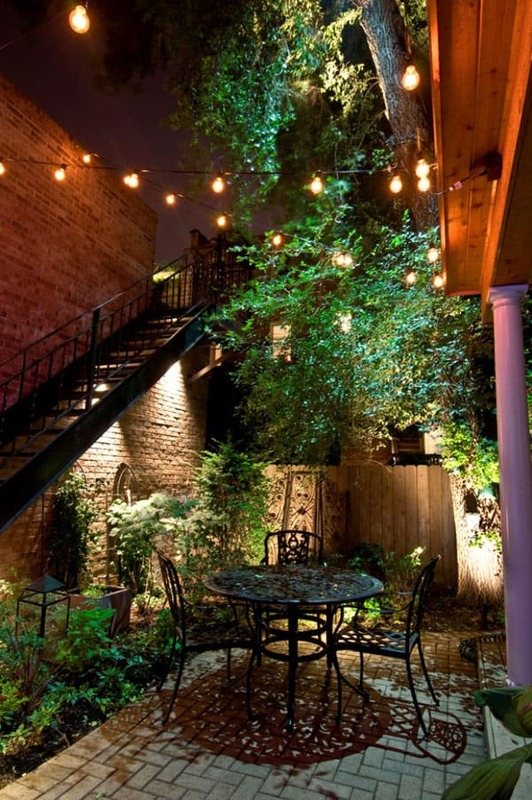 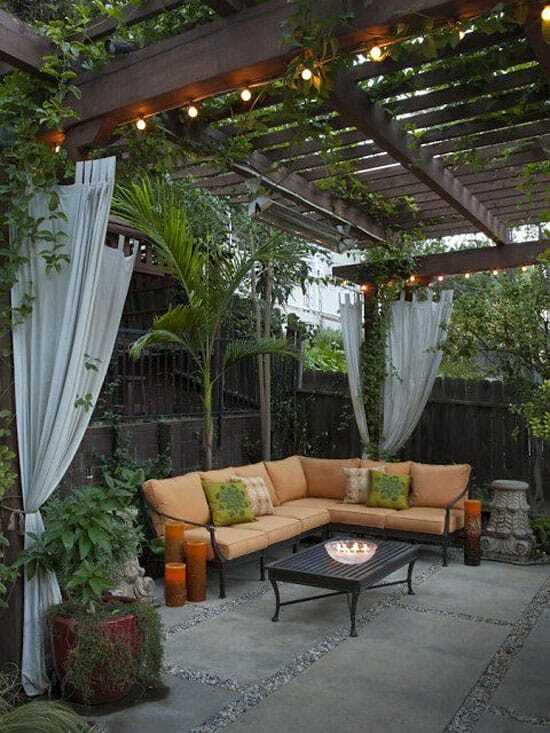 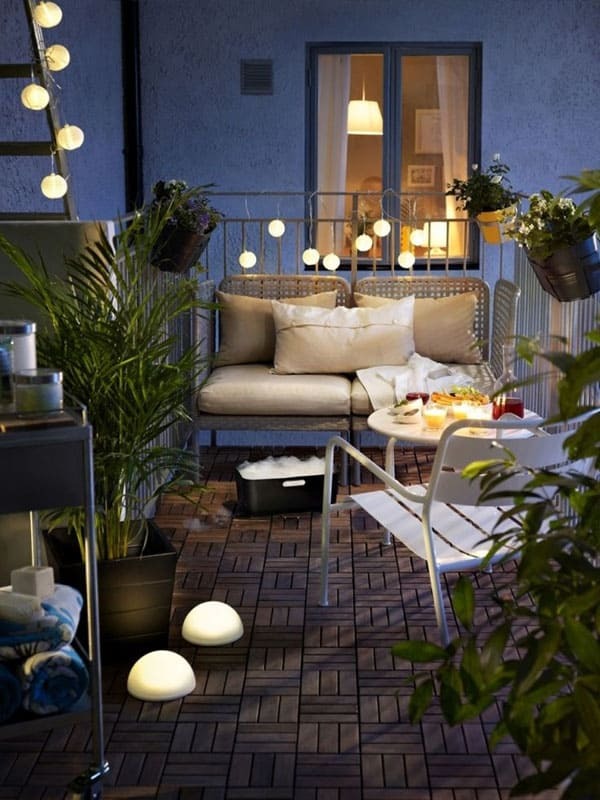 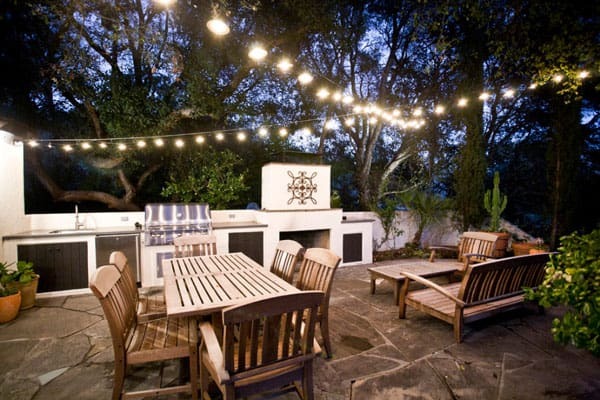 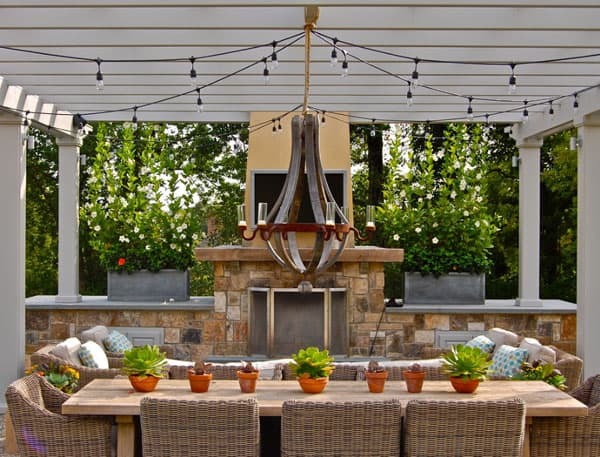 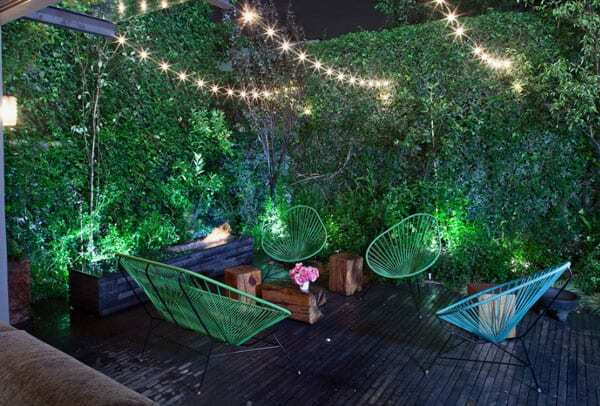 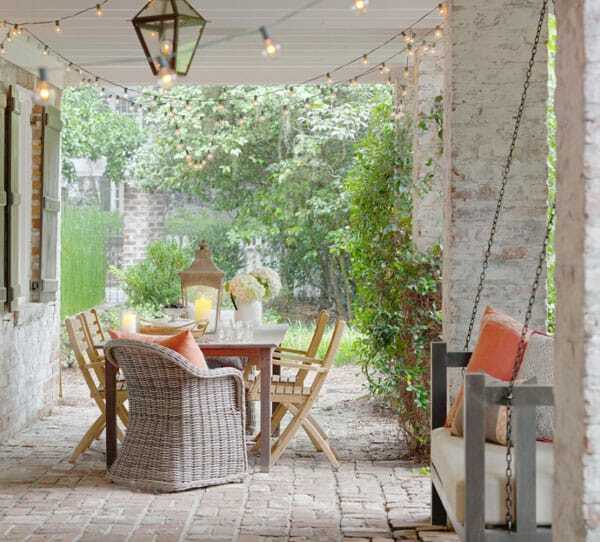 Outdoor string lights are ideal to enhance the ambiance of your patio, courtyard or backyard, with so many possibilities to personalize your outdoor living space. 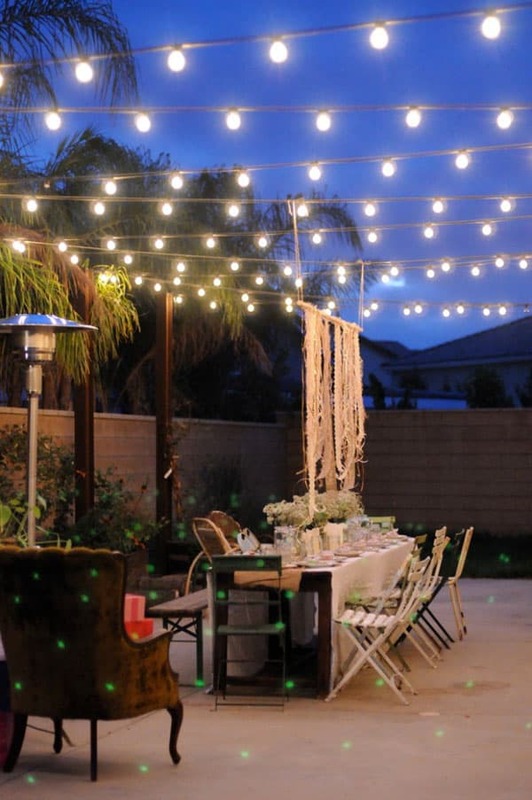 Chances are you have string lights that spend 11 months of the year tangled in a box. 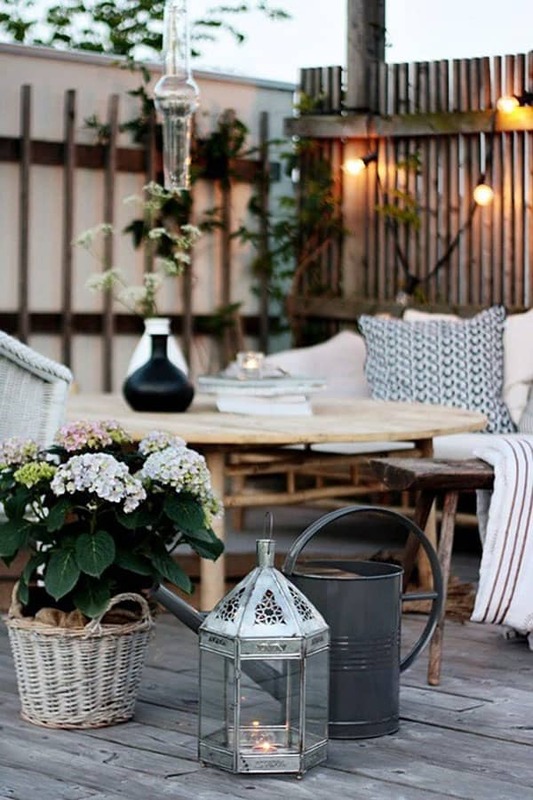 Why not bring them out and use them to decorate your outdoor living spaces throughout the year! 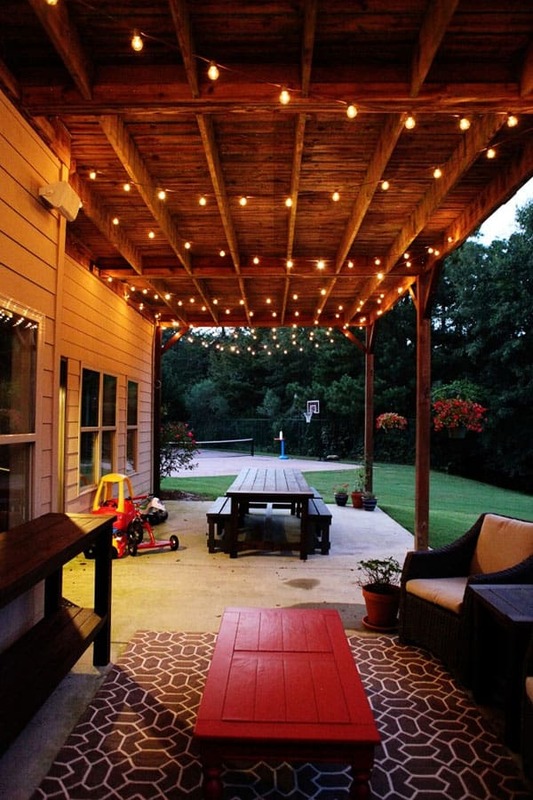 String lights should not be winter-only decor. 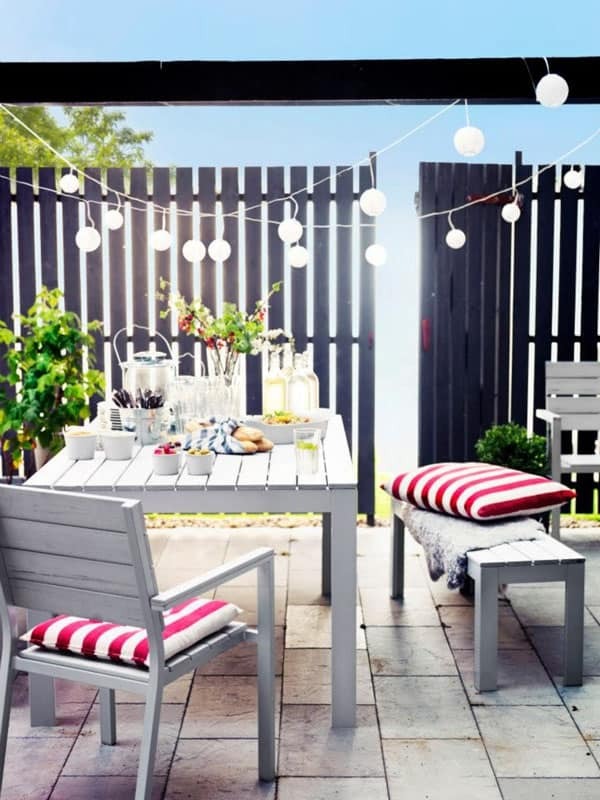 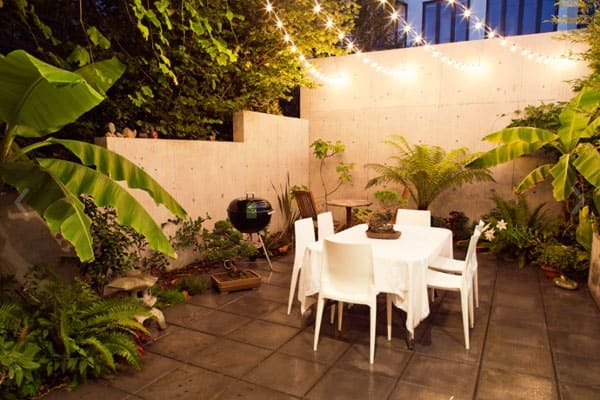 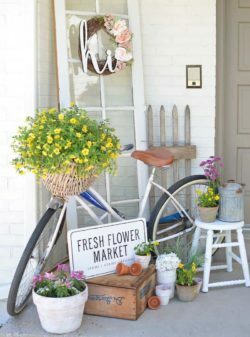 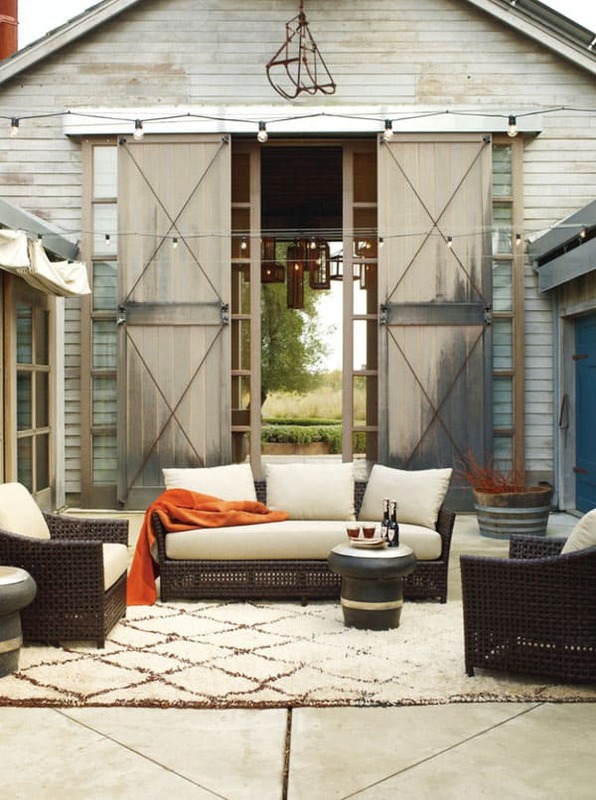 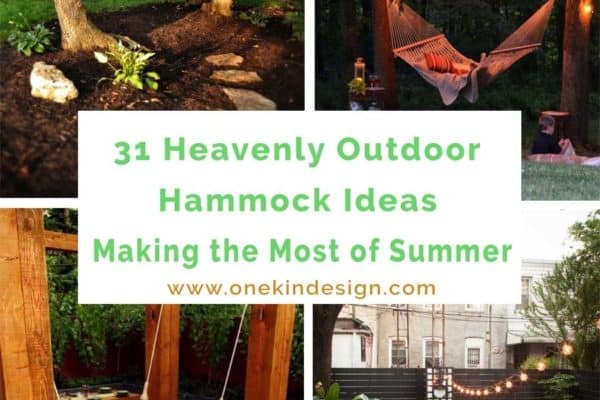 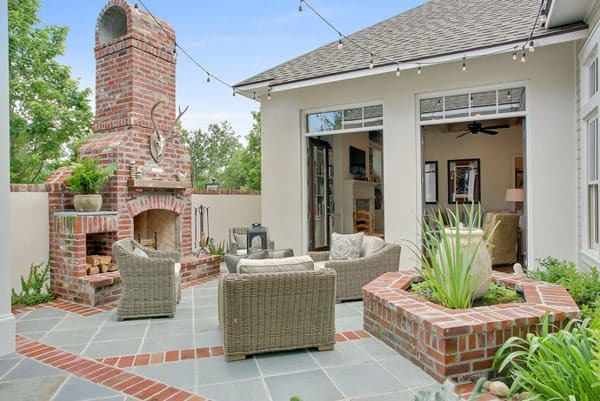 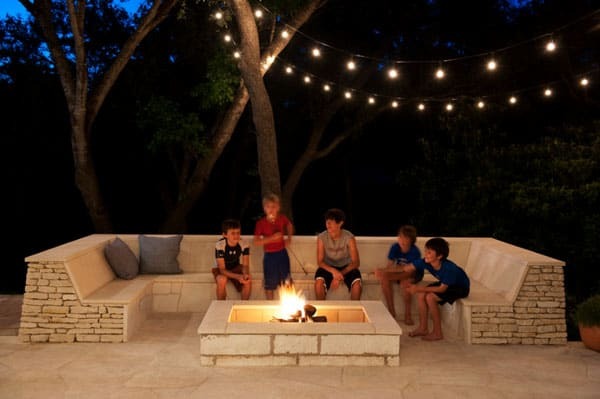 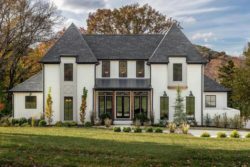 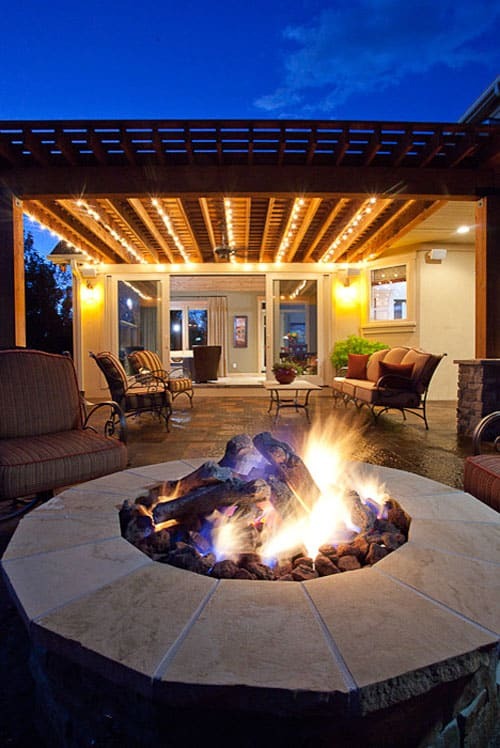 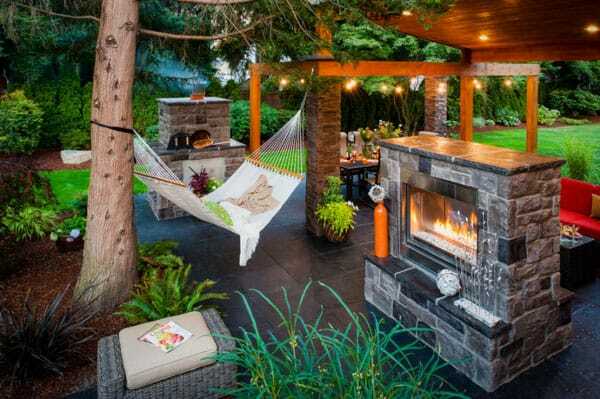 To create your own magical outdoor oasis that is perfect for entertaining, we have gathered together for you an assortment of images to help you feel inspired. 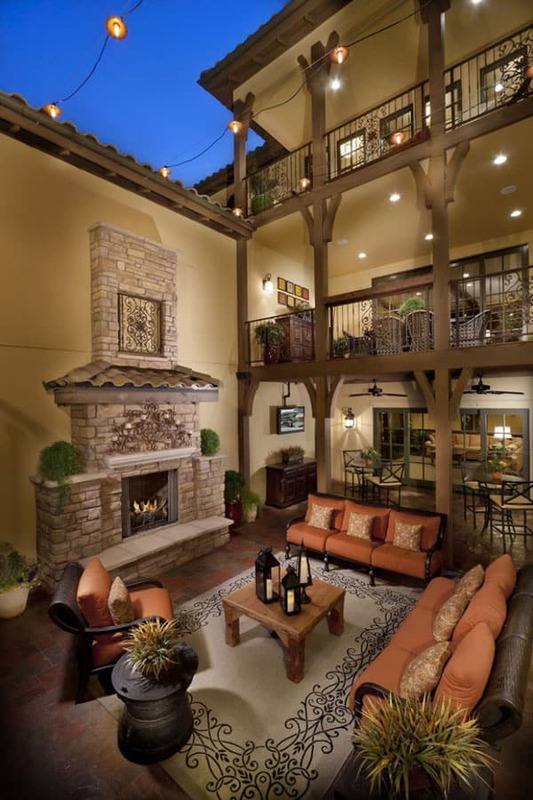 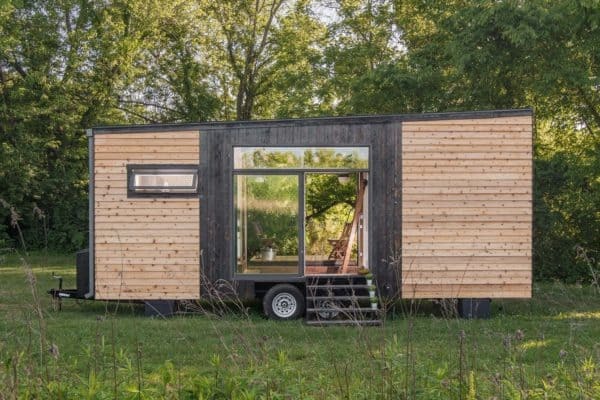 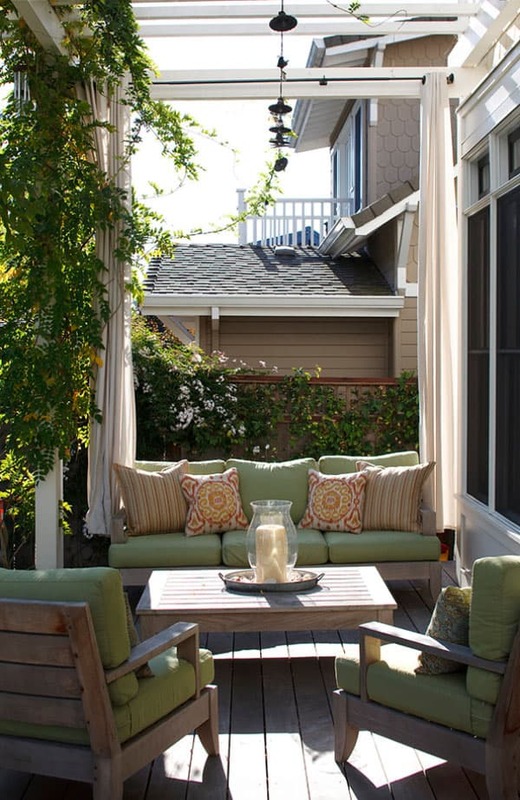 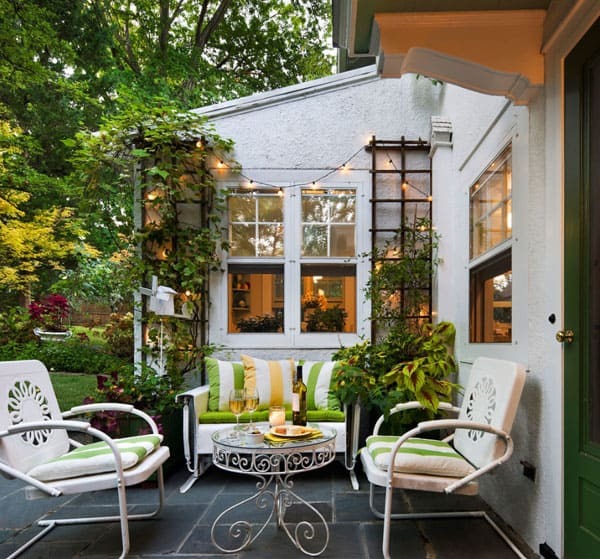 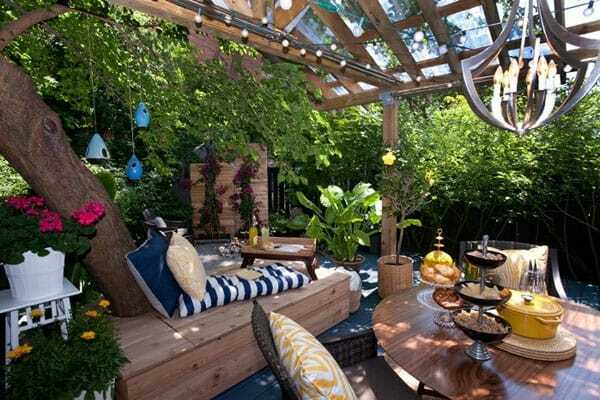 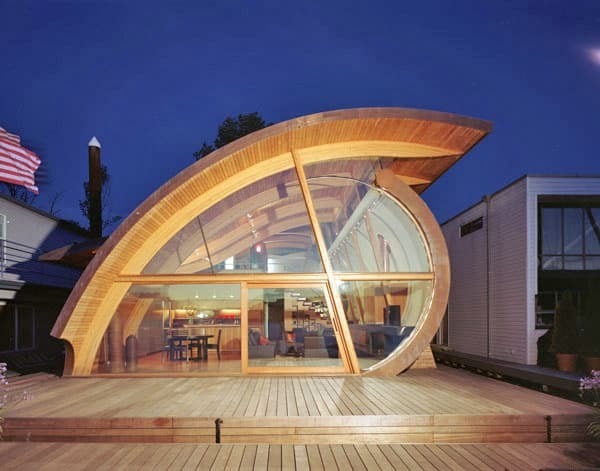 In the past we have brought to you other outdoor inspiration, such as Inspiring and stylish outdoor room design ideas and Inspiring small veranda decorating ideas if you are looking for more ideas. 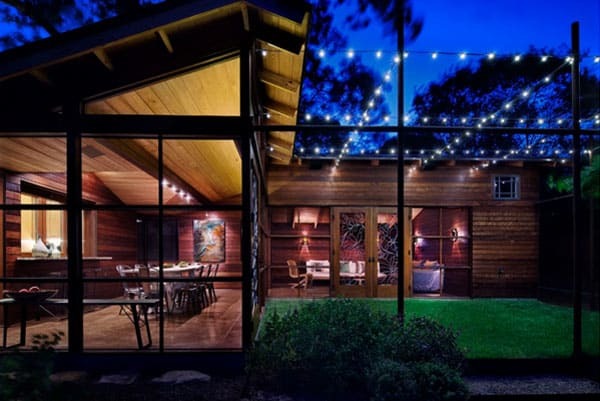 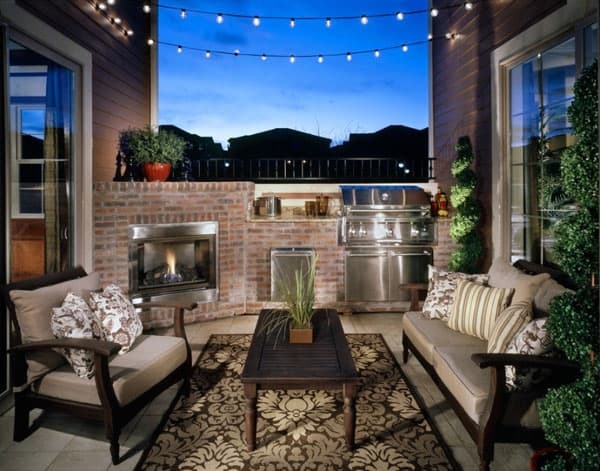 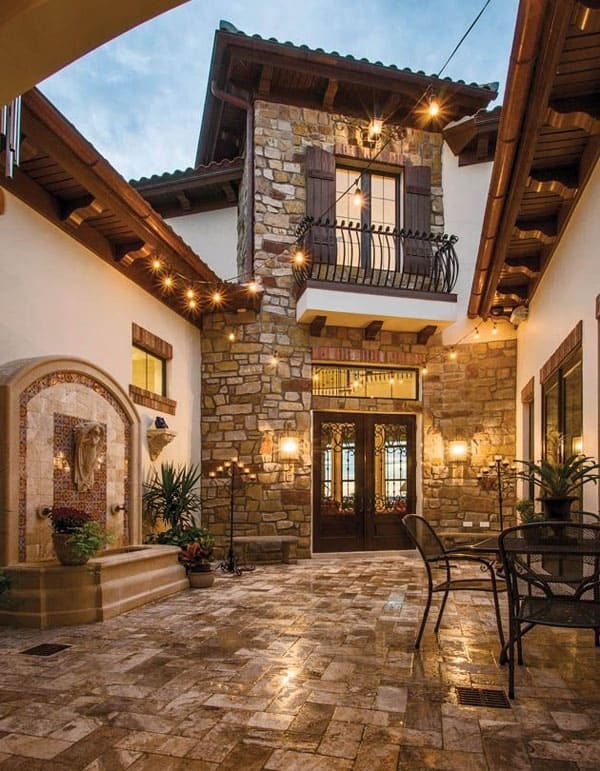 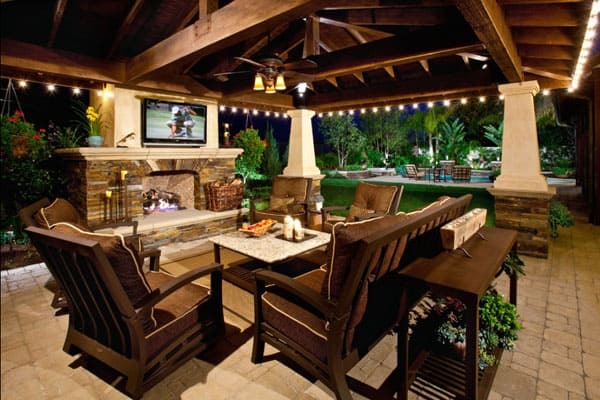 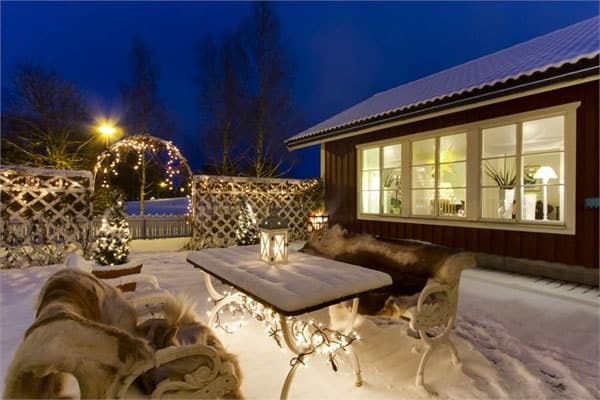 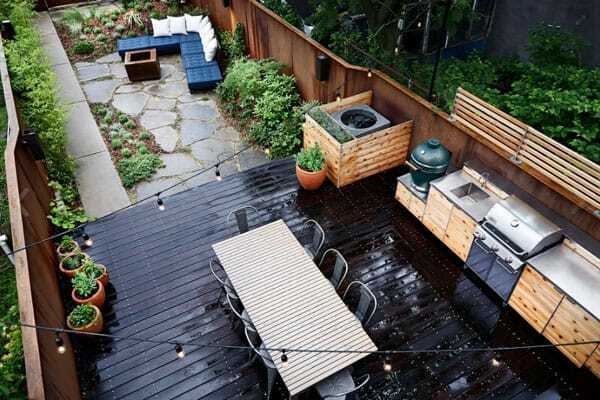 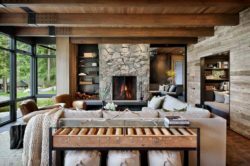 Traditional white lights plugged into extension cords, battery-operated LED lights, globe and cafe string lights, bulbs shaped like stars, snowflakes or jalapenos — they all work to decorate your outdoor living space. 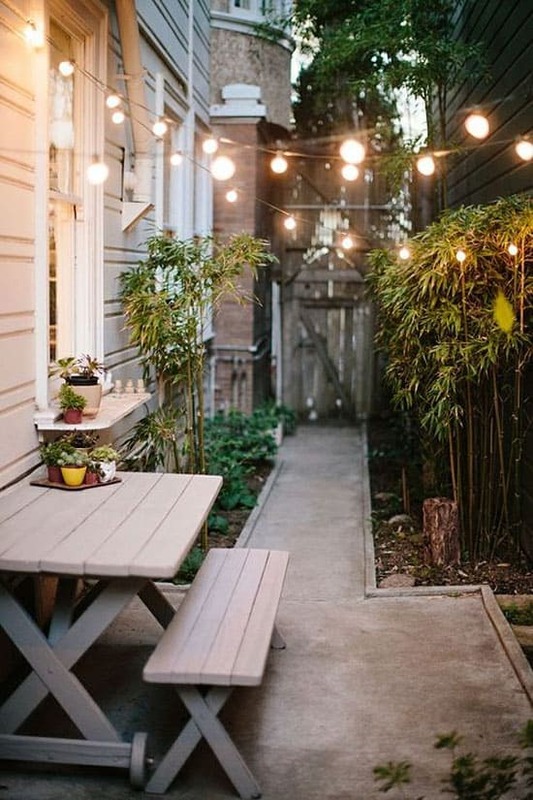 Try looking at Pottery Barn, Party Lights, Amazon or Ikea for some unique and fun string lights. 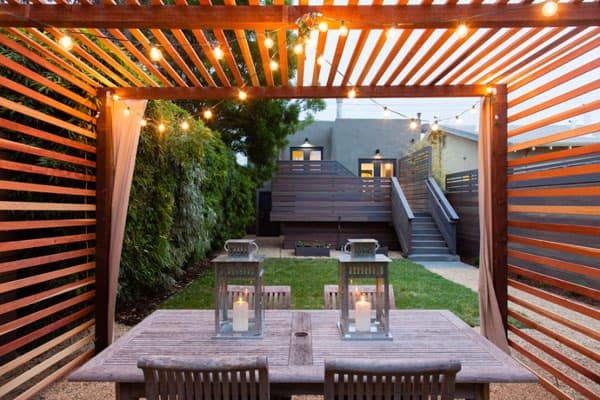 There are many ideas to stringing lights such as hanging them from a trellis, arbor, on fences, along rooflines, or you can wrap them around railings, fences or porch posts. 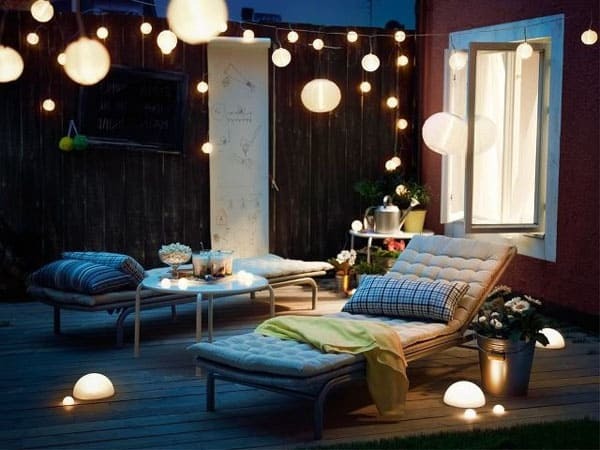 You can also create a light ceiling by bringing stars a little closer by creating your very own night sky. 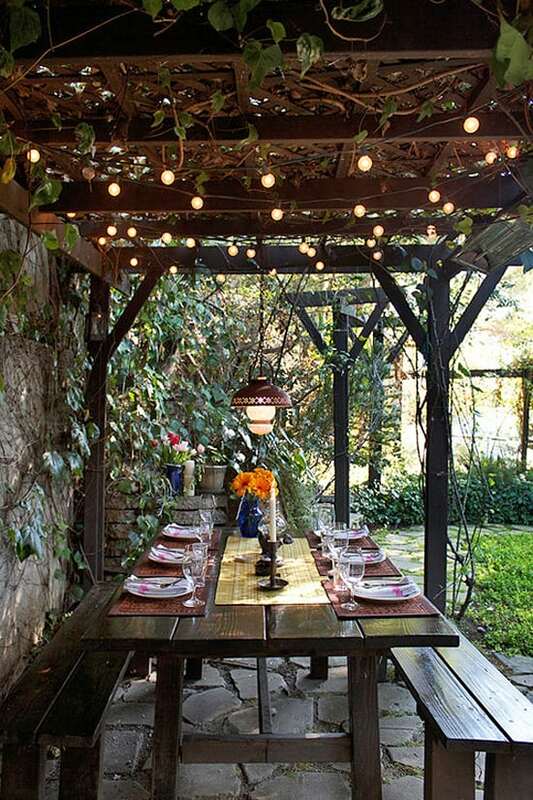 String two clothesline in between trees, then drape a string of Christmas lights from one end to the other in rows. 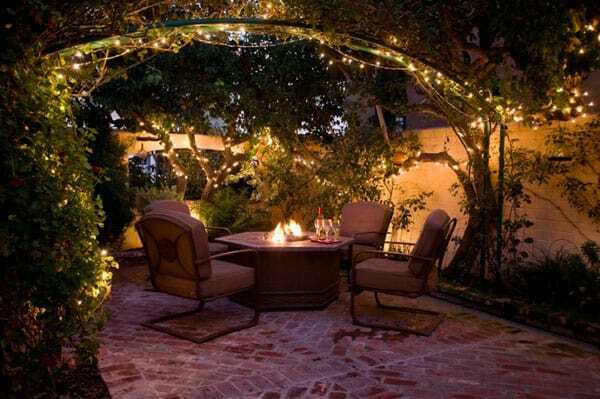 Alternately, use an outdoor umbrella as a center point and string lights outward like spokes on a wheel. 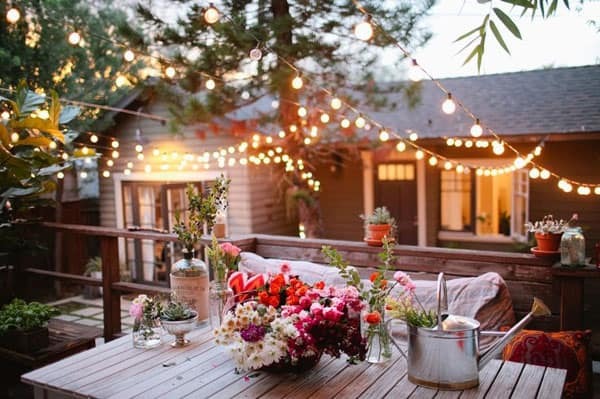 Have a look below for some ideas to bring sparkle to your next outdoor occasion. 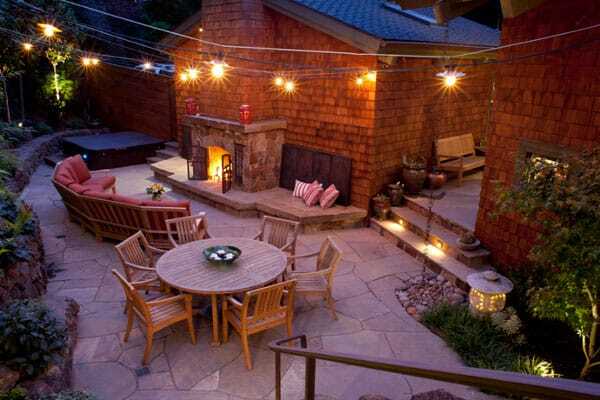 These wonderful lights were just a string of large bulb holiday lights that the homeowner strung up. 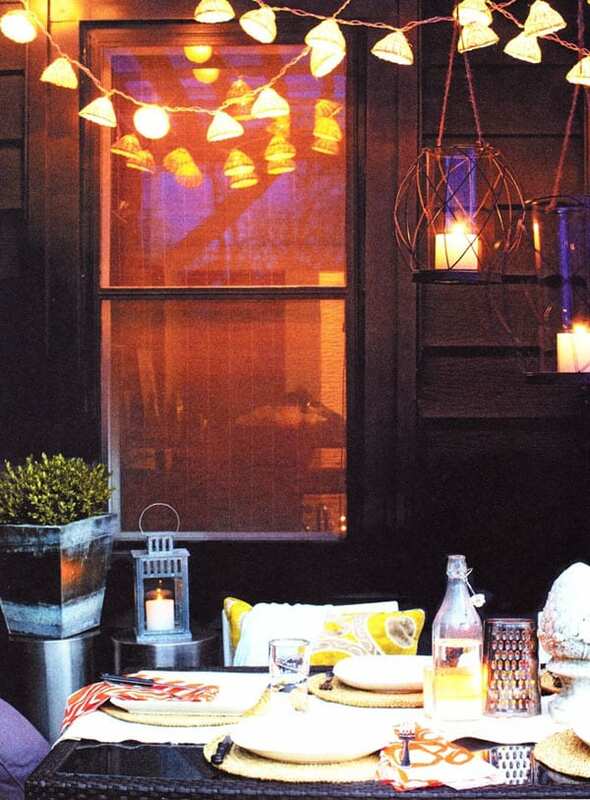 i love the big bulb look for outdoor lighting installation . 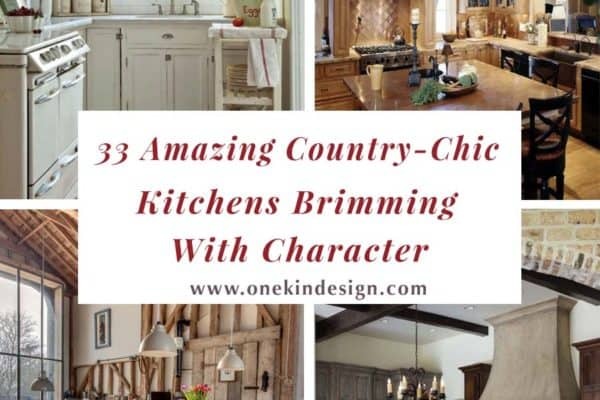 I would say my favorites but I had too many from this listing. 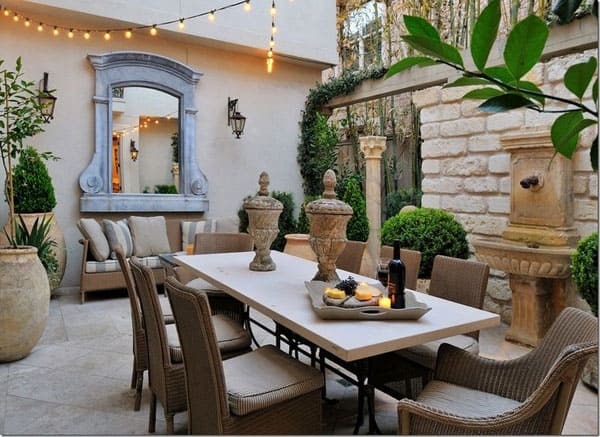 Maybe the one that had the white mansion and the pool.